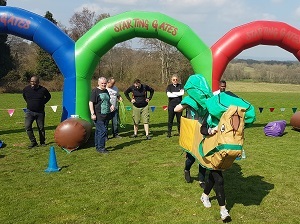 Welcome to our latest It’s A Knockout Blog. 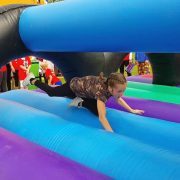 Here is an Early Season Update 2018 of news about It’s A knockout so far this year and also looking forward to the summer months. 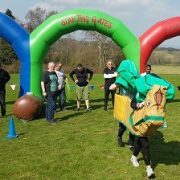 Our It’s A Knockout 2018 summer season is now fully under way and we have already been out on the road on a few strings of work where we travel from one It’s A Knockout day to another, be it for a school activity day, university, village or town day or for some charity fundraising. We happy to say that 2018 is shaping up to be a bumper year so we’re looking forward to it eagerly. Many days and weeks are already fully booked. We’re amazed though that we get so many late enquiries for sorting out a day. Sometimes just a few weeks notice rather than months. We do though have some dates still available in the height of the season and some discounted ones as well. Please see our Discounted Dates page for details. We’re also offering a 15% discount on August dates as this is usually a quieter month after the madness of June and July. Most of our new inflatables for 2018 have already had their first outing and we’re pleased that everyone is enjoying them so much. So far this year, our confirmed traveling for days takes us as far north as Aberdeen and as far south as Truro, plus we’re off to the Isle of Wight this year and our Gold Show is off to Jersey for a charity weekend at the end of June. 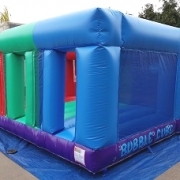 So, no matter where you are in the UK, we’re sure to be running one of our It’s A knockout’s near you this year. 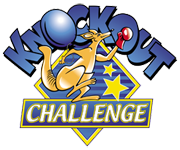 If you’d like to take part in one of our It’s A Knockout events in 2018, we have many where you can do so. Please see our Events Page for details of those where the public can enter teams.